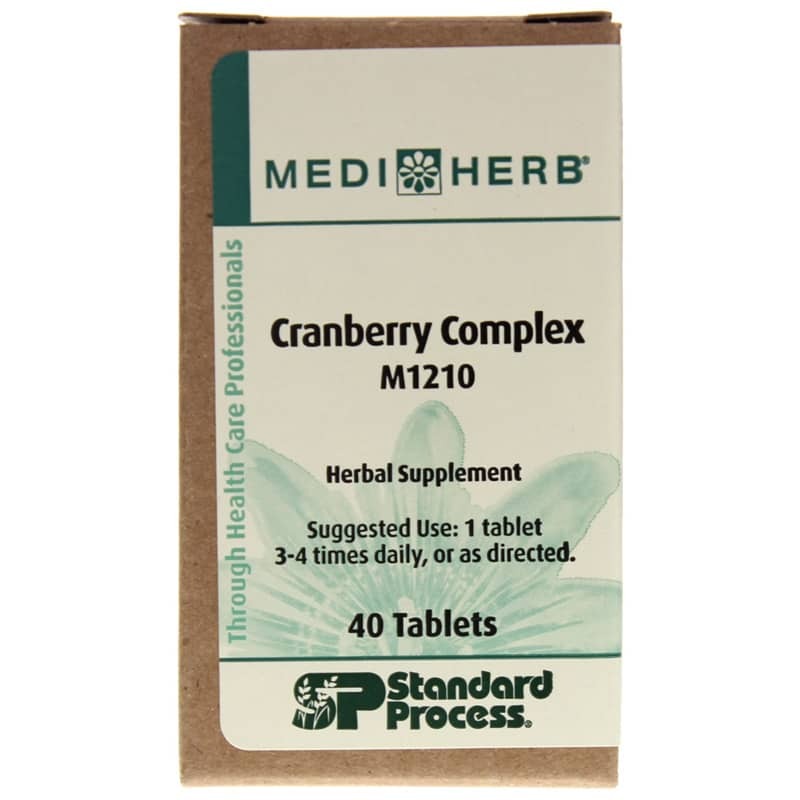 Cranberry Complex by Standard Process is natural supplement that combines Cranberry, Crataeva, Buchu and Uva Ursi. Together, these herbs contribute procyanidins, flavonoids, anthocyanins, organic acids, saponins, sterols, an essential oil (consisting mainly of the monoterpene diosphenol), hydroquinone glycosides (particularly arbutin), polyphenols and other compounds. Other Ingredients: Calcium acid phosphate, cellulose, hypromellose, magnesium stearate, magnesium hydroxide, silica and sodium starch glycollate. 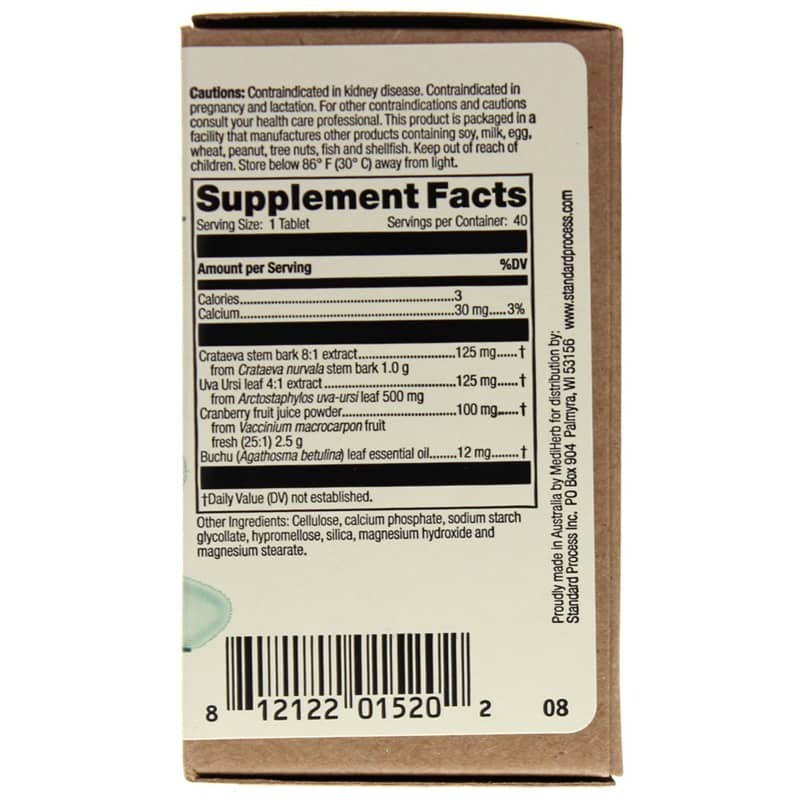 Adults: 1 tablet 3 to 4 times daily, or as directed. Contraindicated in kidney disease. Contraindicated in pregnancy and lactation. Keep out of the reach of children.